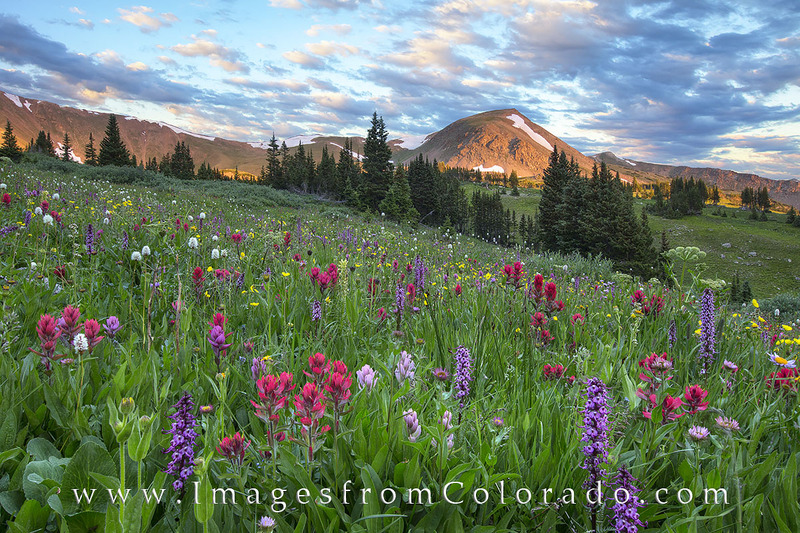 Bountiful Colorado wildflowers fill the meadows of the Butler Gulch hike each July. This photograph was captured in the early morning just after sunrise. The air was cool and crisp, and the wind was nonexistent - a surprise for this altitude. Photo © copyright by Rob Greebon.